Have you noticed that some people in the public eye receive a higher level of accountability and responsibility, while others seemingly do not? A few weeks ago, Bill O’Reilly on his show The O’Reilly Factor, interviewed Co-Founder of Def Jam, Russell Simmons about a raunchy video made by R&B-Pop superstar Beyoncé called “Partition.” O’Reilly, who has made it known his disgust for Hip hop music, asked Simmons an assortment of questions about how explicit the video and the lyrics were to the song in lieu of the fact it can influence young girls to become promiscuous. Simmons, who was trying to promote his book “Success Through Stillness,” was caught off guard by O’Reilly’s barrage of questions and pretty much defended Beyoncé’s actions as an artist. O’Reilly, as you can expect, was not pleased by Simmons response by implying “How can you call this art?” He later went on to say that artists have a moral responsibility to their fans about the content they put out, and I actually found my self agreeing with…..Bill O’Reilly? Everyone knows O’Reilly loves to play these blame game tactics (mainly because he’s a bigot), especially with the black community throwing around statistics as a way to antagonize African-Americans. Well, after this interview with Simmons, the media created a storm with everyone giving their two cents about O’Reilly’s tactics and basically defending Beyoncé. I decided to wait until this story die down a bit to give MY two cents, and my critique may or may not shock you. Before I begin let me be perfectly clear, I, in NO WAY endorse Bill O’Reilly, his show, or Fox News, thank you. The Beyoncé situation has raised some pertinent questions about are entertainers really looked to as role models anymore? Well, we certainly know professional athletes are because as soon as they get into trouble with the law, their defense in court is “I’m so and so and I’m a pillar in my community, kids look up to me, I’m A ROLE MODEL, I volunteer to this organization etc..” So is being a role model only convenient when it applies to someone who is in trouble with the law? Or maybe, just maybe, it only applies to men? I guess the prestige of public image only applies to politicians and preachers? Correction, male politicians and preachers. Whether its Beyoncé, Rihanna, Nicki Minaj, Housewives of whoever, Love & Hip-Hop of whatever. Black women the writing is on the wall. The media have reincarnated old caricatures (Jezebel, Sapphire) stereotypes and have joined the two and what we have on television is the finished product. Sure we’ve had some African-American women write-up petitions involving certain television shows, such as Bravo’s Married to Medicine and Oxygen’s All My Babies Mama’s, which they claim depicted African-American women in a negative light. However, where’s the petitions or the outrage when it comes to your favorite performer, who hasn’t made a clear distinction between classy and ratchet. Don’t tell me ‘there’s many facets to a woman.’ I understand that. But does all facets need to be on display for all America to see? 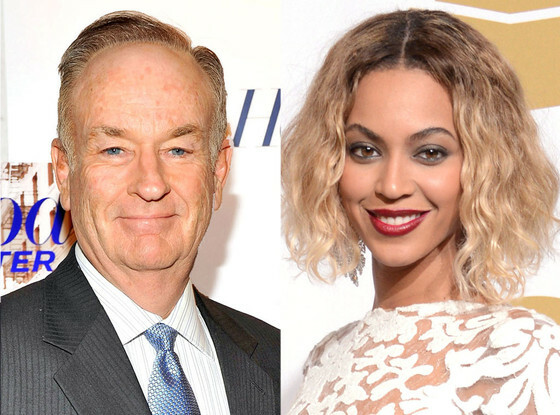 I may never know what O’Reilly’s true intent was for calling out Beyoncé. Honestly, he could have invited her to his show and asked her the very questions he inquired from Simmons. With that being said, he was right because many young girls do look up to Beyoncé and others like her. However, what is hypocritical is that we as adults pick n choose who gets a pass for raunchiness and who doesn’t. It’s like saying what is”hood” versus what is “ghetto.” They both mean the same thing which is bad! Sadly, Beyoncé represents most African-American women because she is not held accountable because even in her “ratchetness,” there is no rebuke. There is no petitions. There is no outcry. Just shock value and gossip-and personal invites for birthday parties by Mrs. Obama herself. Society views the African-American family (unfortunately) through its Mother and if the Mother is ‘ratchet,’ then what can you expect from her children? Remember, you are what you eat, but you reproduce who you are. So when people ask is Beyoncé and people like her role models? I say no, because most of our parents aren’t role models anymore either.